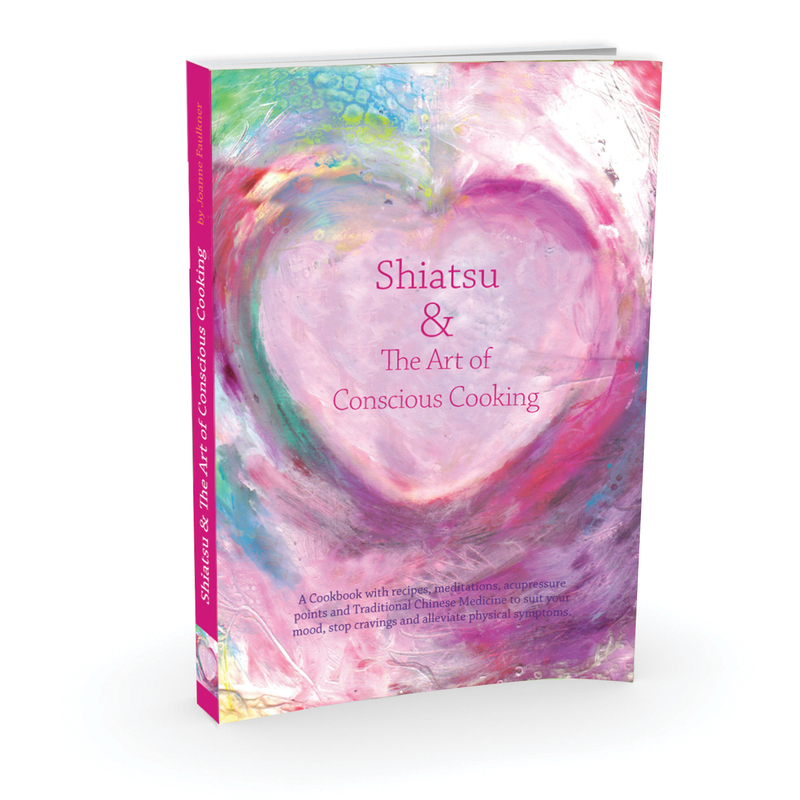 “Shiatsu & the Art of Conscious Cooking” – A Spiritual cookbook filled with recipes, meditations and acupressure points which asks 1. how you are feeling 2. what you are craving 3. offers you a toolkit of possible solutions for change. Just a thought ! Been having problems sleeping lately, more to the point staying asleep. Falling asleep isn’t an issue but I tend to wake after only a few hours. I work shifts so lack a proper sleep schedule. Is there any alterations I could make diet wise that may help me ? Without laying my hands upon you I cannot divine an exact assessment of whats going on for you but what is coming through for me is a couple of things. Firstly I understand that working shifts must be quite disorientating so how is the place you go to sleep? Do you have a routine, do you turn off your phone and even do you go to bed or do you fall asleep on the couch? I have a feeling setting up the body some kind or programme so you are giving it automatic signals that it is time for it to take a good amount of rest not just a catnap. This is because in Chinese medicine the shen or our spirit needs a place to rest. So setting up signals through routine or meditation or reading a book will help the shen to calm. To further aid the spirit to settle and ground I would suggest lettuce juice. Simply take a head, the greener and more organic the better and juice it. It isnt too pleasant a drink but really 1-2 tablespoons should be taken as a tonic to soothe the heart energy and provide a home for the spirit to rest. Dear Jo – I love the new site, with all your wisdom and beautiful artwork! I have a food-medicine question for you – I’ve been suffering on and off with psoriasis over the years, with levels of severity seeming to relate to levels of stress. I have breakouts at difficult times – but more recently I seem to have a fairly constant low level which is showing up mostly on my scalp, forehead and face at the moment. If I experience the tiniest bit of stress, I immediately feel it prickling across my forehead. It’s been this way now for a year. Can you help at all? Without laying my hands upon you I can’t divine an exact assessment of whats going on for you but what is coming through for me is ordinarily I would say that skin conditions stem from the large intestine but in this case I think it is a bladder chi issue. So I would suggest oats or barley to calm the nervous system and support the kidney and bladder. Barley water can be made by low simmering 2 oz barley with 2 pints water for at least an hour. Add Lemon Juice or Barley Malt to taste. It is also possible to buy Barley Tea Bags to have in the cupboard as a quick solution. I would also suggest a course of 3 shiatsu sessions to work on the parasympathetic nervous system to soothe and restore the energies in this area. I hope this helps. Hello, this is actually a nice article. You have my vote for Q & A + Recipes | Shiatsu & the Art of Conscious Cooking and I will bookmark this blog right now. Really liked what you had to say in your post, Q & A + Recipes | Shiatsu & the Art of Conscious Cooking, thanks for the good read! This article is pretty good to read. Excellent!! Thank you very much for sharing, can I post it on my blog to share with my families? Hi really enjoy your site.I think I may have symptoms of a DVT.What can I take to prevent it? There are many reasons as to why DVT occurs and without seeing you I cannot say exactly how you would prevent it but I would suggest in increasing the health of your cardiovascular system so eat foods which contain high levels of vitamin c for cardio repair, plenty of omega 3 and 6 to help the liver detox the blood so that it isnt so sticky. Fresh green veg will also help the liver and contains plenty of calcium and magnesium which helps maintain flexibility of the cardiovascular system. I recently watched a doctor who works extensively with Shiatsu practitioners in a hospital in Germany – he said if you need a hip replacement see a surgeon, if you want to prevent a hip replacement see a shiatsu practitioner. So if you already feel you have a DVT I strongly advise that you seek immediate medical assistance after which look at the dietary changes that can help maintain a heathly body.